On August 15, 1947, he woke up at 2 am, an hour earlier than usual. 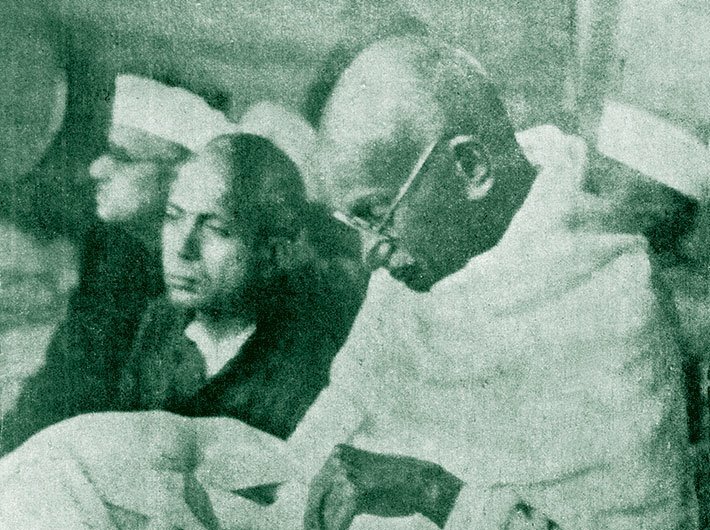 The whole nation – nearly a fifth of the humanity – was soon to gear up for its greatest moment in history, but Mahatma Gandhi was in no mood for celebration. A lifelong witness of the desolate darkness that always preceded the dawn, he wanted to face it up once again, inside out, before India woke up to freedom. He was the uncontested supreme leader of the freedom struggle, but when the historic moment arrived, he was predictably not in Delhi where Nehru made the memorable ‘Tryst with Destiny’ speech. Nehru and other dear colleagues wanted him there, but he was instead in Kolkata. He avoided Delhi even while coming here from Kashmir, and he wanted to move on to Noakhali to douse the flames of communal fire. Shaheed Suhrawardy, premier of Bengal, urged him to stay in Kolkata where his presence was needed more. Gandhi acquiesced, with the condition that he too should stay with him. Thus, Gandhi spent a few days from August 13 in an old Muslim woman’s home, Hydari Manzil, in the Hindu-majority Beliaghata, with Suhrawardy as his host. For the past few years, August 15 was anyway a day of prayers and fast for him, in memory of Mahadev Desai, his alter ego and spiritual heir apparent, who had passed away on this day in 1942 in the Aga Khan Palace in Pune during their incarceration after launching the Quit India campaign. Gandhi began the day with prayers. Remembering Mahadevbhai, he read the Gita, the whole of it. At dawn, the other inmates of the temporary ashram joined in for the morning prayer meet. Soon they heard the chorus of a ‘prabhat feri’ – a group of young women doing rounds of the streets singing Ravindra Sangit: “Pratham prabhat udit tav gagane…” Hearing prayers, they stopped for a while and resumed when the Gandhian prayer meet concluded. The words of ‘Kavivar’ must have struck a chord with the Mahatma, recalling his most perceptive interlocutor in this city on this day. The evening prayer meeting had to be held in an open ground, Rash Bagan Maidan, because everyone who could wanted to have a ‘darshan’ of the Mahatma on this most memorable of the days. An estimated thirty thousand turned up to listen to him. Suhrawardy too addressed the crowd, echoing Gandhi’s message of peace and speaking of the miracle that the Mahatma had delivered in bringing the two warring communities together. At his urging the mixed crowd of Hindus as well as Muslims joyously shouted in unison, ‘Jai Hind’. Narayan Desai, in his four-volume biography in Gujarati [‘Maru Jivan Ej Mari Vani’], records that Gandhi’s face lit up with a smile for the first time in the day. At night, Gandhi had a curious request for his host, Suhrawardy. He wanted to mingle with people and see how they were welcoming the new era – but he wanted to go out anonymously. The host arranged for a car, and the two went out. The premier was driving, with the Father of the Nation sitting next to him: How could people have not spotted them? The journey was stopped at many places, with people crowding around the vehicle, shouting “Mahatma Gandhi Zindabad”, and inviting both to shout along with them, “Jai Hind”.